Harry Styles Bespoke and Fabrics has launched its shop in Lagos. The event attracts many people in the society including the traditional ruler of Shasha Kingdom in Alimosho area of the state, Oba Babatunde Ogunronbi on Friday. The monarch use the ceremony to called on his fellow traditional rulers, governments and well-meaning Nigerians to prioritise youth development and empowerment. It has become imperative to concentrate efforts on youth development to safe the nation and its future from socio-economic and security crises, said the monarch. “Empowering our youths should be number one agenda. I empower people. 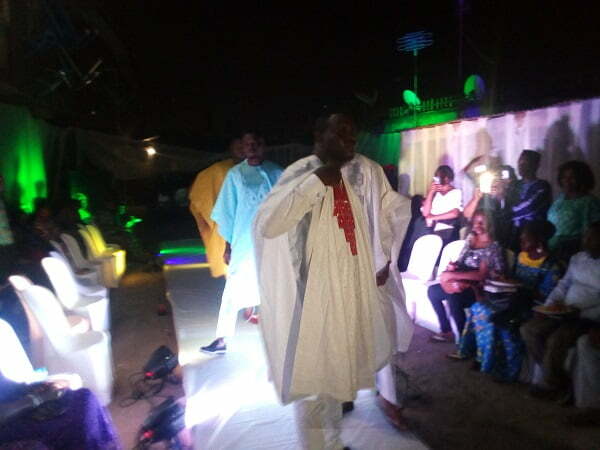 The Managing Director, Harry Styles Bespoke and Fabrics, Mr Segun Olumuyide in his opening remarks said, he launched the company to give the area a bit of fashion touch. Olumuyide, a graduate of Olabisi Onabanjo University noted that his passion for dressing well led him to acquire the skills after graduation. He said that the establishment had already engaged 10 youths. “People admire how I dress and look; then, I thought of going into this as it is not easy getting a job in our country. If school certificate fails, handwork cannot. “As I launch this brand, I hope it will go places pushing my outfits out to different shores. I won’t mind styling for entertainers, politicians and all people. “I have machines and materials to deal in all textiles materials and accessories as well as to run fashion store, sewing, uniform printing and monogram, among others,’’ he said.